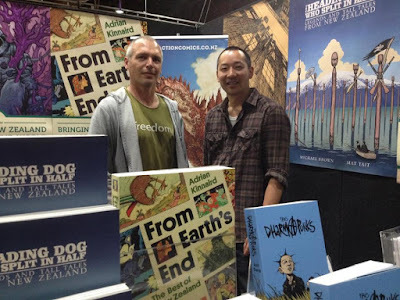 Earth's End: Photorama: Earth's End and Terry Teo at Auckland Armageddon Expo 2015! 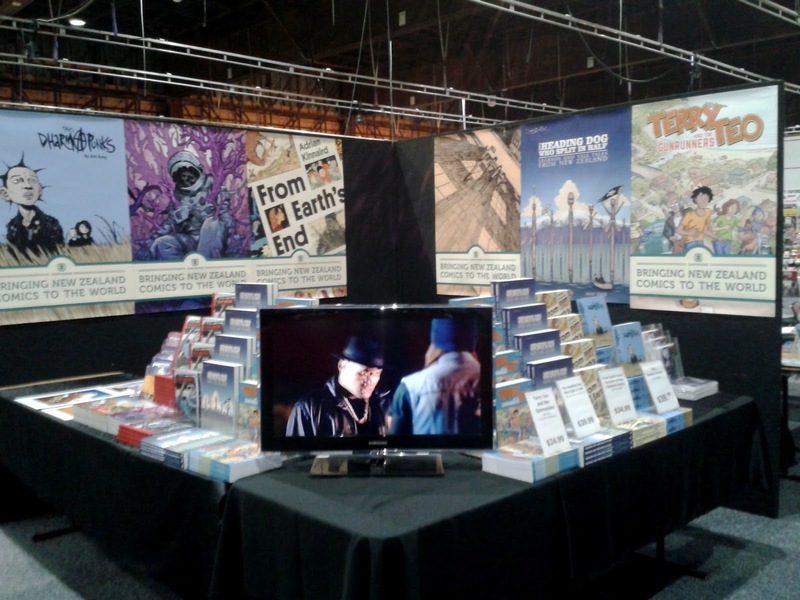 Photorama: Earth's End and Terry Teo at Auckland Armageddon Expo 2015! Above: The Earth's End Publishing team and cartoonist Mat Tait: (from left) Adrian Kinnaird, Damon Keen, Mat Tait and Kelly Sheehan. Photo by Ant Sang. 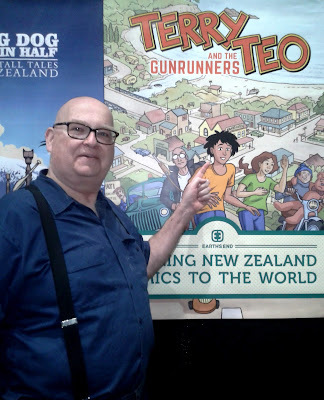 We launched our new edition of Terry Teo and the Gunrunners at Auckland Armageddon Expo over Labour Weekend to a great public response! 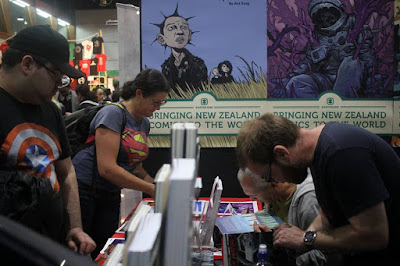 We had our authors - Terry Teo co-creator Stephen Ballantyne and The Dharma Punks' Ant Sang signing books, as well as our good friend Mat Tait, promoting his new graphic novel, The Heading Dog Who Split in Half. 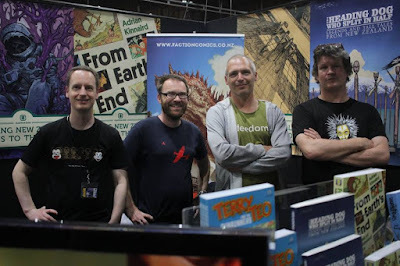 In addition to the book, we also screened the first trailer of the new Terry Teo TV series, written and directed by Gerard Johnstone (Housebound), from the footage it looks to capture the humour and adventure of the original, while giving the material a contemporary update. Above: The Earth's End Publishing booth at Auckland Armageddon Expo, just prior to opening. 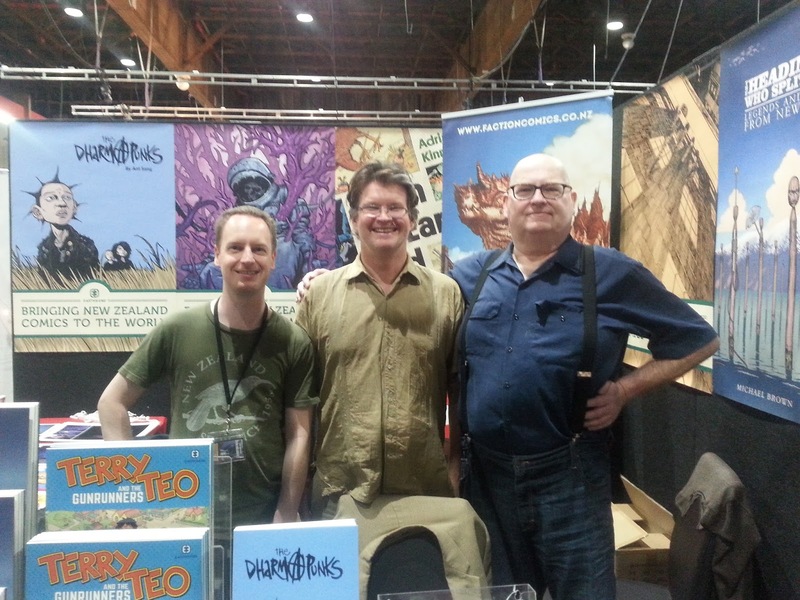 Above: Terry Teo co-creator Stephen Ballantyne. Above: Adrian Kinnaird with Kelly Sheehan and Terry Teo co-creator Stephen Ballantyne. Above: Mat Tait (The Heading Dog Who Split in Half) and Ant Sang (The Dharma Punks). Above: Mat Tait signing copies of The Heading Dog Who Split in Half for punters. Photo by Ant Sang. 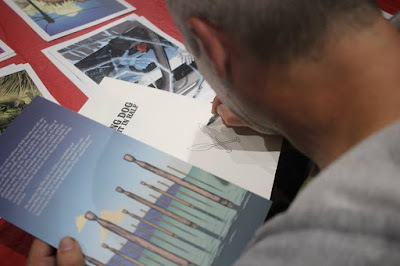 Above: Damon Keen signing a copy of High Water. Photo by Ant Sang. 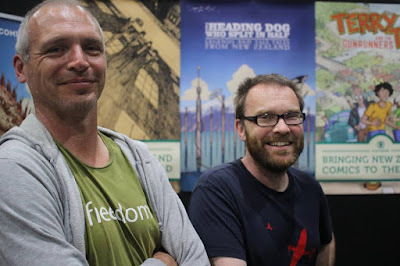 Above: Mat Tait and Faction's Damon Keen. 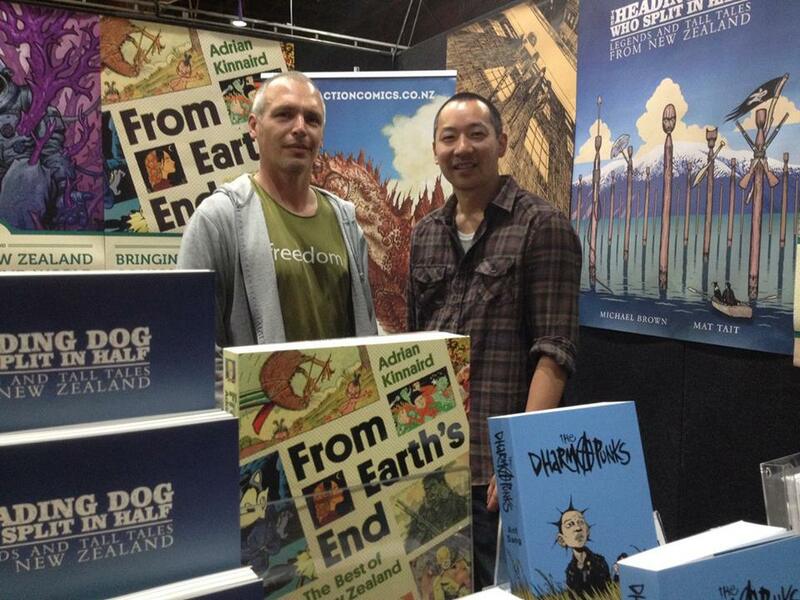 Photo by Ant Sang. If you missed us at the Armageddon Expo, copies of Terry Teo and the Gunrunners are available now from all good booksellers for $24.99, or you can purchase it online from our website store HERE.